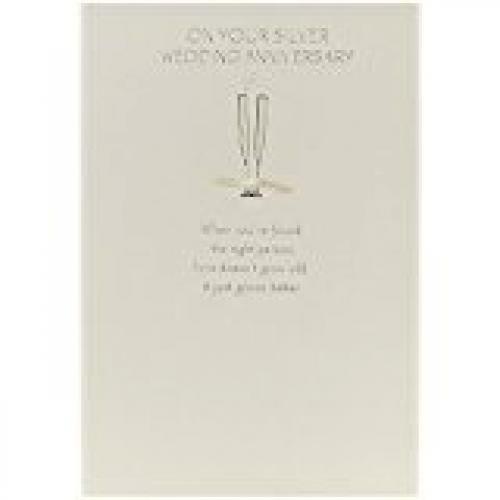 Pretty Silver Anniversary card with silver printing, ribbon and glitter decoration. Wording inside reads "You're two very special people... and your marriage of 25 years is really something to celebrate! HAPPY SILVER ANNIVERSARY".